The Billy Wilder Theater, home of UCLA Film & Television Archive's public programs, is among a handful of venues nationwide able to exhibit an entire century's worth of moving images in their original formats. From the earliest silent films requiring variable speed projection all the way up to cutting-edge digital cinema, the Wilder can accommodate an array of screen technologies. The box office opens one hour before show time. Visit our ticket page for information about admission. Please be aware that Hammer Museum parking on Friday before 6 p.m. is subject to the usual hourly rate. 1) A parking garage is conveniently located beneath the Hammer Museum and accepts cash only. Enter from Westwood Blvd., just north of Wilshire Blvd. Monday - Friday after 6 p.m.: $7. Monday - Friday before 6 p.m.: $7 for first 3 hours with Hammer Museum validation and $3 every 20 minutes thereafter. Daily maximum is $20. To obtain validation, show your ticket stub at the welcome desk in the museum lobby. Saturday & Sunday all day: $7. 2) Visitor parking is available in UCLA Parking Lot 36 at 11020 Kinross Ave. Credit cards or exact bills only. 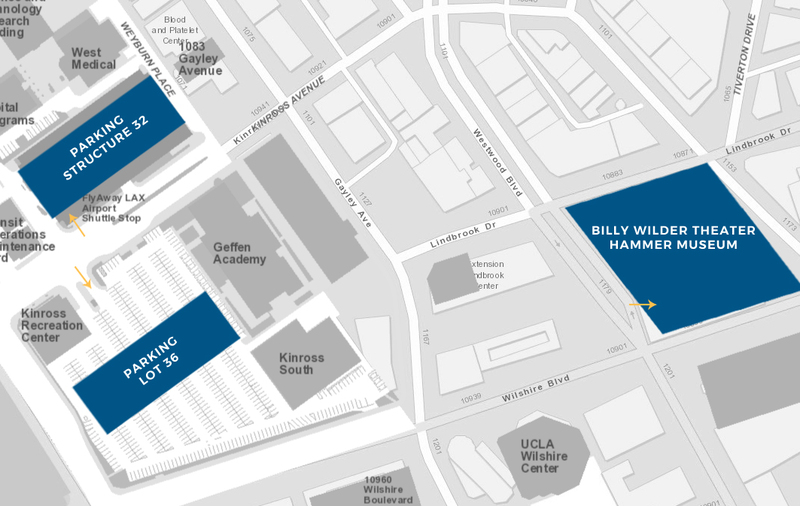 3) Visitor parking is available in UCLA Parking Structure 32 at 11020 Kinross Ave. Credit cards or exact bills only. $12 for all day parking. Located at the corner of Westwood and Wilshire Blvd., the theater is easily accessible by public transportation. Check the websites below for bus schedules, directions and fare information. The theater's modern design by Michael Maltzan Architecture stylishly interprets cinema's play of light and movement in real space, and the 294-seat interior features comfortable leather seats with superb sightlines. The theater is made possible by a generous gift from Audrey L. Wilder and named in honor of Mrs. Wilder's late husband, the legendary screenwriter, director and producer. Born on the outskirts of the Austro-Hungarian empire, Billy Wilder fled Nazi Germany in the 1930s to become a master of Hollywood film language and a shrewd comic observer of the American scene. Among the many classics Wilder co-wrote and directed were Double Indemnity (1944), Sunset Boulevard (1950) and Some Like It Hot (1959). 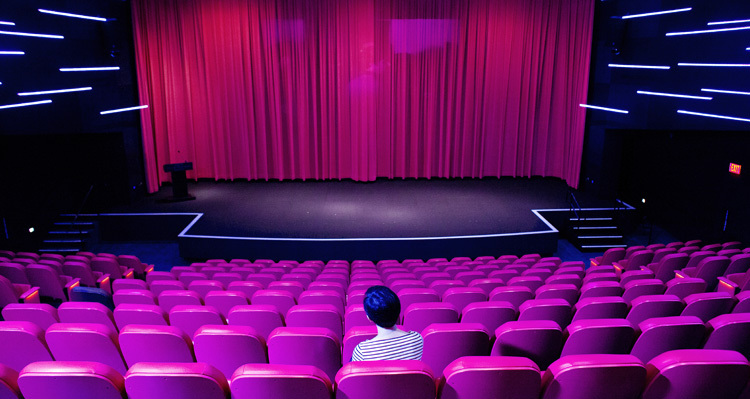 Conveniently located in the Hammer Museum on the corner of Westwood and Wilshire Boulevards, the theater offers filmgoers the chance to plan their evenings with dining options. For more information, read Billy Wilder Theater Frequently Asked Questions.